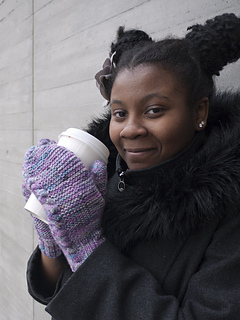 Cozy mittens that keep it simple on the front and back, but have some pizzazz around the edges. 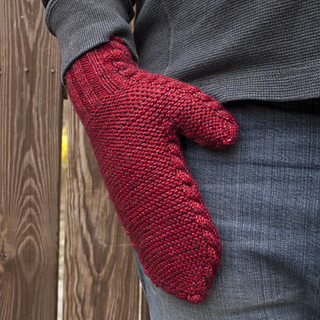 A cable lines the entire outer edge of the mitten including the cuff, thumb and tips of the fingers. 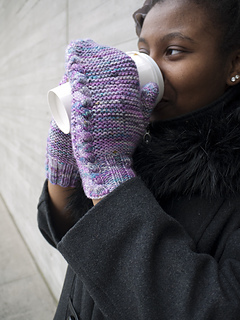 The cable is set against squishy garter stitch which makes these mittens an excellent choice for showing off some really fun yarn. 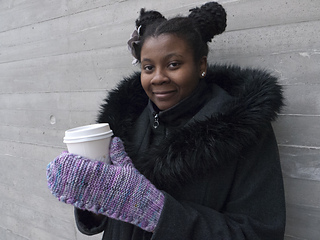 Knit these up quickly using just one skein of worsted weight yarn. If you prefer written patterns use pages 3-5, if your preference is charted use pages 6-9. These mittens are worked bottom up in the round. The cable lines the entire edge of the mitten including the thumb and tips of fingers. This pattern looks complicated but is an easy knit! It would even be a good beginner cable project. Left and Right mitten are worked the same aside from the direction of the cable Twist. 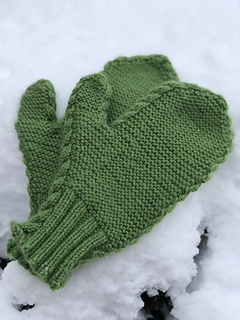 You can follow the whole pattern the same for each mitten and just use the correct written instructions/chart for each hand you are working on.